The motor features of Parkinson’s disease can be managed with treatments that replace the chemical dopamine in the brain. While there are many medically approved dopamine replacement drugs available for people affected by Parkinson’s disease, there also are more natural sources. When asked by colleagues and friends what is my ‘plan B’ (that is, if the career in academia does not play out – which is highly probable I might add – Click here to read more about the disastrous state of biomedical research careers), I answer that I have often considered throwing it all in and setting up a not-for-profit, non-governmental organisation to grow plantations of a tropical legume in strategic places around the world, which would provide the third-world with a cheap source of levodopa – the main treatment in the fight against Parkinson’s disease. The response to my answer is generally one of silent wonder – that is: me silently wondering if they think I’m crazy, and them silently wondering what on earth I’m talking about. As romantic as the concept sounds, there is an element of truth to my Plan B idea. I have read many news stories and journal articles about the lack of treatment options for those people with Parkinson’s disease living in the developing world. Some of the research articles on this topic provide a terribly stark image of the contrast between people suffering from Parkinson’s disease in the developing world versus the modernised world. A fantastic example of this research is the work being done by the dedicated researchers at the Parkinson Institute in Milan (Italy), who have been conducting the “Parkinson’s disease in Africa collaboration project”. Title: The modern pre-levodopa era of Parkinson’s disease: insights into motor complications from sub-Saharan Africa. Authors: Cilia R, Akpalu A, Sarfo FS, Cham M, Amboni M, Cereda E, Fabbri M, Adjei P, Akassi J, Bonetti A, Pezzoli G.
Journal: Brain. 2014 Oct;137(Pt 10):2731-42. In this study, the researchers collected data in Ghana between December 2008 and November 2012, and each subject was followed-up for at least 6 months after the initiation of Levodopa therapy. In total, 91 Ghanaians were diagnosed with Parkinson’s disease (58 males, average age at onset 60 ± 11 years), and they were compared to 2282 Italian people with Parkinson’s disease who were recruited during the same period. In long-term follow up, 32 Ghanaians with Parkinson’s disease were assessed (with an average follow period of 2.6 years). Although Levodopa therapy was generally delayed – due to availability and affordability – in Ghana (average disease duration before Levodopa treatment was 4.2 years in Ghana versus just 2.4 years in Italy), the actual disease duration – as determined by the occurrence of motor fluctuations and the onset of dyskinesias – was similar in the two populations. The motor fluctuations were similar in the two populations, with a slightly lower risk of dyskinesias in Ghanaians. Levodopa daily doses were higher in Italians, but this difference was no longer significant after adjusting for body weight. Ghanaian Parkinson’s sufferers who developed dyskinesias were younger at onset than those who did not. Reading these sorts of research reports, I am often left baffled by the modern business world’s approach to medicine. I am also left wondering how an individual’s experience of Parkinson’s disease in some of these developing nations would be improved if a cheap alternative to the dopamine replacement therapies was available. Are any cheap alternatives available? For many of the nations in the developing world, even the generic, off-patent drugs would be too expensive. Luckily, however, there are natural solutions which could be provided for little cost. So most people in the Parkinson’s community are familiar with the chemical ‘L-dopa’, which forms the basic foundation of the treatment regime for most people with Parkinson’s disease. L-dopa is naturally produced in the brain from a protein called Tyrosine which is absorbed into brain cells from the blood. The very first form of L-dopa was synthesised in a lab in 1911 by Casimir Funk (what a spectacular name! ), a Polish biochemist (who is best remembered for coining the term “vitamin”). But Dr Funk did not follow up the research and it was two years later in 1913, that Marcus Guggenheim (a biochemist from the pharmaceutical company Hoffmann-la Roche in Basel) isolated pure L-dopa and found that it has some biological activity. His discovery came with a racing heart and a strong sense of nausea, but these feelings were not due to his excitement of finding something new. Rather these feelings came on because Guggenheim actually consumed some L-dopa! Felix Hoffmann, owner of Hoffmann-la Roche (now simply Roche), grew the beans in his garden, and Marcus (being one of those curious scientist types) conducted some analysis on the beans. He found that the beans contained high levels of the chemical L-dopa. Interestingly, Guggenheim found that the pod of the plant contained more L-dopa than the beans themselves, but the beans still contained enough L-dopa to elicit the reaction that they did when he consumed them. Why did he feel sick and his heart race? When Guggenheim ingested the Vicia faba beans (also known as the broad bean or fava bean), the L-dopa in the beans was converted into dopamine immediately. This causes gastrointestinal side-effects which results in the feeling of nausea (quite often when folks first start taking Levodopa treatment for Parkinson’s disease they will experience some of these feelings as the right dose is determined). This is why most L-dopa treatments for Parkinson’s disease are a combination of L-dopa and a drug that blocks the enzyme DOPA decarboxylase outside of the brain. These DOPA decarboxylase inhibitors (such as carbidopa) do not cross the blood-brain-barrier, which is a protective film covering the entire brain. A decrease in the chemical norepinephrine (due to alpha 2 receptors negative feedback – it’s complicated). Interesting, so what did Guggenheim do with his discovery? He tested L-dopa on some lab animals and found little response, so he dropped any further analysis on it (not so curious after all). In addition, no-one in the company saw any economic benefit from patenting L-dopa at the time – it was a molecule that appeared to have no useful purpose, other than making people vomit (it was actually considered to be toxic). Are fava beans the best natural source of L-dopa? There are better sources – and here is where we get back to my ‘Plan B’ idea. The best natural source of L-dopa based on quantity per mass as the tropical legume Mucuna pruriens. Commonly known as the velvet bean, cowage, cowitch, lacuna bean, or Lyon bean, Mucuna pruriens are a climbing tropical legume. Since the 3rd century BCE, practitioner of the Ayurveda have been using the seeds of the tropical legume Mucuna pruriens in treating conditions of tremor (or Kampa – I have written about this in a previous post). They are called atmagupta in Sanskrit. Powdered seeds of atmagupta mixed in milk was generally given to treat what was known as Kampa vata (or Parkinson’s disease). In 1937, a pair of Indian chemist discovered the secret ingredient that allowed Mucuna pruriens seeds to work their magic. Title: Isolation of l-3:4-dihydroxyphenylalanine from the seeds of Mucuna pruriens. Authors: Damodaran M, Ramaswamy R.
Journal: Biochem J. 1937 Dec;31(12):2149-52. No abstract available. Remarkably, the researchers found that the Mucuna Pruriens seeds are approximately 4-6% L-dopa, making them mother nature’s natural treatment for Parkinson’s disease. Mucuna Pruriens were the best source of L-dopa by quantity, but they are not the easiest source to use. 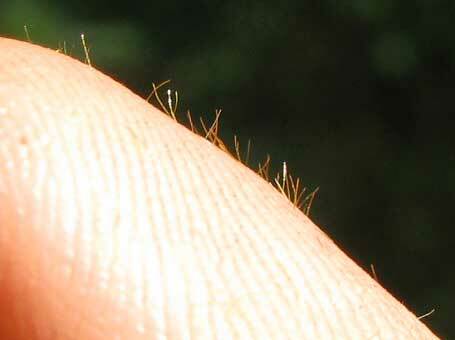 The pod of the beans is covered in a velvet like skin of tiny hairs, but whatever you do DO NOT touch those hairs. These tiny hairs cause incredible irritation when they come into contact with the skin, hence the name “itchy velvet beans” which is used in some parts of the world to describe Mucuna Pruriens. Are there different types of Mucuna pruriens? Authors: Pulikkalpura H, Kurup R, Mathew PJ, Baby S.
Journal: Sci Rep. 2015 Jun 9;5:11078. In this study, the researchers analysed L-dopa contents in seeds of 56 samplings of the four varieties from different parts of the world. L-dopa contents in the different Mucuna pruriens sampling varied widely, from 0.90 to 6.4%. The highest L-dopa yielding Mucuna pruriens beans exhibited the lowest degradation levels – and this is an important consideration when using these legumes for consumption purposes. The investigators found that fresh Mucuna pruriens extract (less than 24 hours since extraction) displayed high levels of L-dopa, while decomposing Mucuna pruriens extract did not show any L-dopa. The degradation rate of L-dopa in Mucuna pruriens extracts was low at 4 °C when compared to room temperature, but (worryingly) the researchers noted that high levels of L-dopa degradation in Mucuna pruriens extracts consistently resulted in the appearance of reactive oxygen species (which can cause oxidative stress). 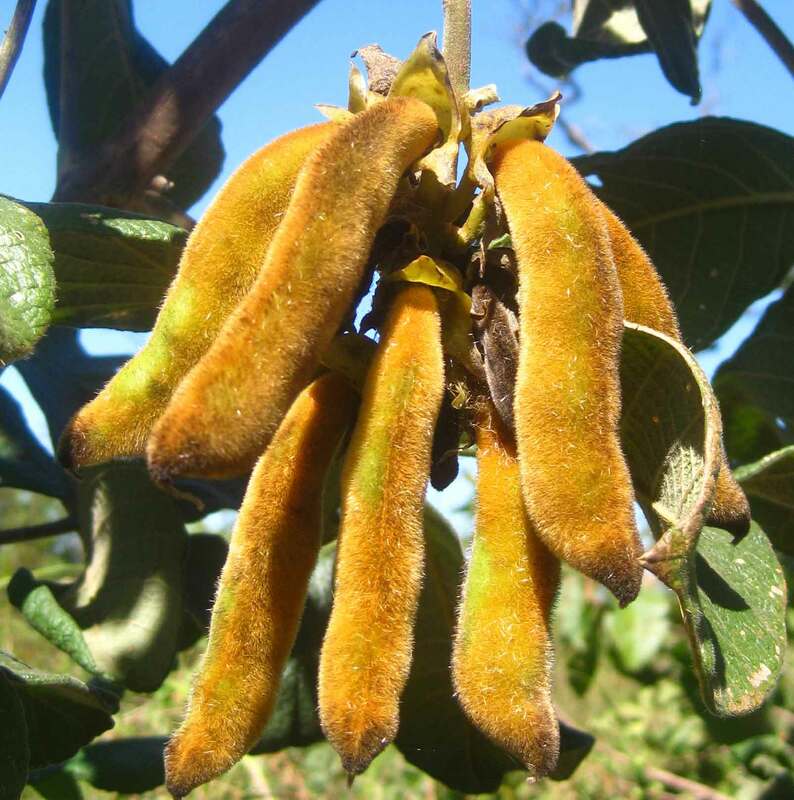 This last finding really demonstrates the need for a careful review of the processing of Mucuna pruriens beans – from drying/roasting, through to powdering and extraction (including pH and temperature) – when purchasing supplements containing Mucuna pruriens. Many poorly prepared products may have little actual L-dopa in the final extract, and possibly the presence of reactive oxygen species. How do you prepare extracts from the beans? Title: Mucuna pruriens for Parkinson’s disease: Low-cost preparation method, laboratory measures and pharmacokinetics profile. Authors: Cassani E, Cilia R, Laguna J, Barichella M, Contin M, Cereda E, Isaias IU, Sparvoli F, Akpalu A, Budu KO, Scarpa MT, Pezzoli G.
Journal: J Neurol Sci. 2016 Jun 15;365:175-80. In this study, the researchers do a great job of explaining (and assessing) the process of making Mucuna pruriens powder and then comparing the product with clinically available L-dopa treatments. Their analysis of the preparation found that boiling the beans (that is, soaking them for 15 hours followed by boiling them for 90 min) reduced the levels of L-dopa by 70% compared to dried or roasted beans (which both contained 5.3% L-dopa). The roasting preparation involves cooking the beans in a pan at 150 degrees for 15 min, and waiting for all the casings to burst (the noise apparently sounds like popcorn). Then you take the pan off the heat and the roasted beans can be ground in a coffee grinder, passed through a sieve and added to soup or water as a powder (the researchers included a short video of the preparation – Click here to see it). Interesting. 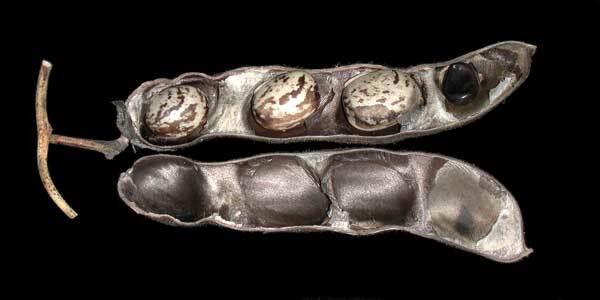 So can I grow Mucuna Pruriens in my backyard? That depends on where your backyard is geographically located in the world. Well drained, medium to high fertility soils and be grown in a wide range of soil acidity (pH<5.0–8.0). Plan B is looking pretty good, huh? All I need to do is find somewhere sunny and hot. Sounds nice. But do these Mucuna Pruriens work in the context of Parkinson’s disease? The simple answer is: yes. Both experimentally and clinically. But sadly, there is not a lot of research on this topic and some variability between the results which may be due to the preparation and processing of the Mucuna Pruriens used in the studies. Title: Assessment of symptomatic and neuroprotective efficacy of Mucuna pruriens seed extract in rodent model of Parkinson’s disease. Authors: Kasture S, Pontis S, Pinna A, Schintu N, Spina L, Longoni R, Simola N, Ballero M, Morelli M.
Journal: Neurotox Res. 2009 Feb;15(2):111-22. In this study, rats were given a neurotoxin (6-OHDA) which models Parkinson’s disease. Four weeks later, they were treated with either an extract of Mucuna pruriens at a dose of 16 mg/kg (containing approximately 2 mg/kg of L-dopa) or normal L-dopa (6 mg/kg). The researchers found that the Mucuna pruriens-treated rats exhibited a very similar response to L-dopa treated animals in the motor tests, and displayed less dyskinesia-like behaviour (this last observation may be due to the lower amount of actual L-dopa in the extract of Mucuna pruriens). The investigators also tested the neuroprotective effects of Mucuna pruriens, but they found no difference between Mucuna pruriens-treated mice and control (no treatment) mice when they were given a neurotoxin (MPTP). The researchers concluded that while Mucuna pruriens are not neuroprotective, the findings strongly supports its anti-parkinsonian activity. Title: The Antiparkinsonian and Antidyskinetic Mechanisms of Mucuna pruriens in the MPTP-Treated Nonhuman Primate. Authors: Lieu CA, Venkiteswaran K, Gilmour TP, Rao AN, Petticoffer AC, Gilbert EV, Deogaonkar M, Manyam BV, Subramanian T.
In this study, the investigators first compared Mucuna pruriens (with and without carbidopa) against normal L-dopa treatment (with carbidopa) in Parkinsonian monkeys. All of these treatments helped to reduce the Parkinson’s-like features. The researchers next evaluated the effects of a water extract of Mucuna pruriens, by feeding a solution of Mucuna pruriens to Parkinsonian monkeys and found that it alleviated the symptoms without causing dyskinesias, while normal L-dopa treatment (with carbidopa) did result in an increase in dyskinetic activity. The lower levels of dyskinesias could be due to lower levels of L-dopa in the Mucuna pruriens treated animals, but the researchers took blood samples and indicated that dopamine measurements demonstrate that bioavailability of L-dopa are similar between Mucuna pruriens and synthetic L-dopa treatment (but they did not present the actual data, which leaves one questioning the statement). This results could indicate that Mucuna pruriens contains additional anti-dyskinetic agents beyond the 4-5% levels of L-dopa. The researchers concluded that the possible dyskinesia-reducing activity of Mucuna pruriens warrants further investigation with carefully designed clinical studies in humans. What about in the humans? How do Mucuna Pruriens compare with modern L-dopa? Title: Mucuna pruriens in Parkinson’s disease: a double blind clinical and pharmacological study. Authors: Katzenschlager R, Evans A, Manson A, Patsalos PN, Ratnaraj N, Watt H, Timmermann L, Van der Giessen R, Lees AJ. Journal: J Neurol Neurosurg Psychiatry. 2004 Dec;75(12):1672-7. In this double blind clinical study, the researchers gave 8 people with Parkinson’s disease with a short duration L-dopa response and dyskinesias single doses of 200/50 mg L-dopa or 15-30 g of mucuna pruriens preparation. They gave these treatments in a randomised fashion at weekly intervals. They found that mucuna pruriens powder had a more rapid onset of action and a longer period of benefits without dyskinesias. The researchers concluded that ‘this natural source of L-dopa might possess advantages over conventional L-dopa preparations in the long term management of PD’. A grand conclusion, but they also note that a more long term assessment is required. Title: Mucuna pruriens in Parkinson disease: A double-blind, randomized, controlled, crossover study. Authors: Cilia R, Laguna J, Cassani E, Cereda E, Pozzi NG, Isaias IU, Contin M, Barichella M, Pezzoli G.
Journal: Neurology. 2017 Aug 1;89(5):432-438. The change in motor response at 90 and 180 minutes (and the duration of ON state) was the primary measures assessed in the study. The researchers also looked at some safety measures (included changes in blood pressure and heart rate). Interestingly, the low dose of Mucuna pruriens showed similar motor response with fewer dyskinesias than normal L-dopa treatment, while the high dose of Mucuna pruriens provided an even greater improvement in motor features at 90 and 180 minutes, resulting in a longer ON period with less dyskinesias. In addition, the high dose of Mucuna pruriens resulted in less complications when compared with normal L-dopa treatment (both with and without dopa-decarboxylase inhibitors). For more information about this study, click here: NCT02680977. The researchers behind this study also acknowledge that further long term studies of Mucuna pruriens are required. But the German pharmaceutical company that funded this pilot trial were unable to fund further work on it, so the longer term use of Mucuna pruriens in humans remains untested (to my knowledge – happy to be corrected on this as it would have direct impact on my precious plan B.). Can I take my prescribed L-dopa treatment AND mucuna pruriens? Ok, so this is where I have to be careful. I could get myself in trouble here as I am not a clinician, and I should not be giving any advice on this site. In addition, there is very little research addressing this question (certainly no long term studies). So, with that said: If I had PD I would definitely NOT be supplementing my normal L-dopa treatment regime with any supplements that contain mucuna pruriens extract (certainly not without discussing it with my clinician first). This is for one simple reason: high levels of L-dopa (in the lab at least) does bring on abnormal involuntary movements (or dyskinesias) a lot quicker than low levels of L-dopa. Supplementation of normal L-dopa treatment regimes with mucuna pruriens could significantly increase the level of L-dopa that the body is receiving, raising the risk of developing side effects like dyskinesias. While the short term benefits may be pleasing, the long term picture could be more troublesome as a result of this approach. To be fair, this is simply speculation as we have no idea what the combination of the two treatments will do. But it is better to be safe than sorry. This post has been in preparation for sometime and is the result of numerous readers asking about the use of more natural L-dopa based treatments. 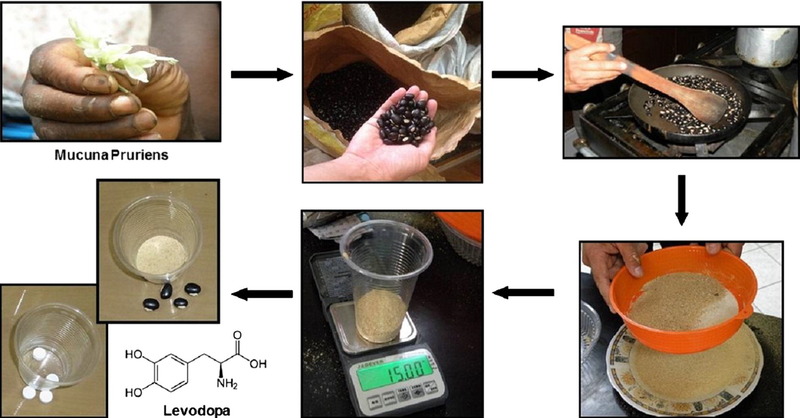 There is a large market providing mucuna pruriens-containing supplements, but as this post has indicated caution should be taken when considering their use as the preparation of the beans can significantly impact the amount of L-dopa (and nasty by-products of the process) in the final product. There is a sad lack of research into natural sources of L-dopa and their potential application in Parkinson’s disease. Even within the world of academic research there is a constant push towards novel therapeutics which a university could potentially reap royalties from. And all the while, individuals with Parkinson’s in the developing world are forgotten (or simply ignored). “So Simon why don’t you follow through with plan B?” you ask. To which I answer 1.) I’m too busy maintaining this website and holding out hope on that whole academic career thing, and 2.) it’s complicated. There is already a large industry of plantations already in place in various parts of the tropics supplying world markets with mucuna pruriens. The part that is missing from my grand scheme is a better understanding of the long term use of these beans in the treatment of Parkinson’s disease in the developing world. We simply know too little. And clinical trials are difficult to manage in the western world, imagine the complications associated with clinical studies in sub-Saharan Africa. Perhaps I should have a chat with the Italians researchers in Milan. While ironing out the problems associated with my plan B, I am also preparing a plan C: Broccoli farming! There could be a big future in broccoli! For those readers who are interested in the state of Parkinson’s in sub-Saharan Africa, there is a fascinating OPEN ACCESS overview recently published (Click here to read the article). EDITORIAL NOTE: The information provided by the SoPD website is for information and educational purposes only. Under no circumstances should it ever be considered medical or actionable advice. It is provided by research scientists, not medical practitioners. Any actions taken – based on what has been read on the website – are the sole responsibility of the reader. Any actions being contemplated by readers should firstly be discussed with a qualified healthcare professional who is aware of your medical history. Please speak with your medical physician before attempting any change in an existing treatment regime. I enjoyed reading about your Plan B. One question; should PwP avoid eating broad beans? Glad you liked the post. I don’t like giving advice here on the site, but the answer to your question depends on how the beans are prepared. PwP should probably avoid eating them raw on a regular basis. If the beans have been boiled they will have a lot less L-dopa content, and thus safer to eat. It also depends on the variety. There seems to be a great deal of variation in L-dopa levels between different beans (from nearly nothing to 5-6%). I hope this helps. I’ve always understood that high levels of L Dopa can cause peripheral neuropathy and Decarboxylases reduces that risk. Can you comment on that please? Oh man every time you do a new post I’m just so stoked. The one on nutrition/ food was so inspiring. So it’s now coming up broad bean time at home here (NZ) and I must say I grow and eat a lot of them but have never felt nauseous or any dopomine type reaction. Never mind, good thing they taste good and I’d say your plan B on growing anything has to be a good one. Thanks for the comment and kind words – glad to you like the content. When you eat the beans are they raw, or are you boiling them up? There does seem to be a lot of variation in L-dopa content between different varieties of beans (such as in the study I refer to in the post they found Mucuna pruriens sampling varied widely, from 0.90% to 6.4% L-dopa content). Maybe your broad beans have a lower dose. Could be interesting to contact a chemist near to where you live and ask if they can analyse some of them. Are you in the north or south island? Plan B is still under consideration, but there is another post coming soon that will deal with a different L-dopa producing vegetable which could ruin Plan B completely. Thanks for your comment. I am sorry to hear about your husbands situation. Unfortunately, I am not in any position to provide any advice as A.) I am not a clinician, and B.) I am not familiar with individual situations. I can only recommend that you make sure that your husband’s clinician is aware of the mucuna capsule usage. Are they aware that these extra doses of L-dopa are being taken? I ask only out of caution. Hi Simon, very interesting as usual. One thing that worries me is the variability of L-DOPA content. This is by species, crop, preparation method, batch etc. Surely every preparation should be quality controlled and standardised/normalised for L-DOPA content? At least with pharma grade tablets like Sinemet you can be sure that there is the claimed level +/- 5% max. Otherwise people’s dosage regimes would be uncontrolled and not tested for safety, let alone efficacy. Even when it’s normalised for the active ingredient, the long term safety issues would still need to be addressed, even if they have long use as foods, as we don’t know how it impacts PwP longer term. Glad you liked the post – thanks for the important comment. Indeed the two big issues with MPs are the variability in the L-dopa content and the potential for dangerous impurities. You are so right. I do not like to give advice or opinion here, but if someone was looking to ‘go natural’, a great deal of research into any particular MP product is required (and many of the commercially available product don’t supply much information). Having said all of that, in the developing world where there are so few options (the Italian researchers mentioned in the post noted that Ghana – population 28 million – had only 2 neurologist at the time of the study), I still think MPs could be considered as a cheap solution (variable or not). I have to say you Thanks! I’ve been looking for updated information about MP from Serious and Scientific resources for a while and that’s exactly what you’ve done. As I’ve could read (with many sense, indeed) It’s not right to give medical advices without a medical degree, but only to know your (well) informed opinion, what do you think about to start with mucuna or fava beans in a recently diagnosed patient with few symptoms that also intents postpose farmaceutic L-dopa by its future complications? Thanks and Congrats again. Great work! You are welcome! Glad you found this post interesting. Regarding the question of a newly diagnosed patient starting with MPs or fava beans, I can only say that this is a question to ask one’s clinician. I can not comment further. Even if I was a clinician, without a detailed understanding of a reader’s medical history, it would be irresponsible to give any advice here. In general, I do worry that the L-dopa being derived from MPs is too variable between preparations. In addition, a lot of the products that are commercially available are not quite what they advertise themselves to be. Sorry I can’t give specific advice. I hope you will understand my position. We need a clinical trial of broccoli. Seriously!